AB de Villiers earned his call-up for the first Test against England the following season, and after a composed debut as an opening batsman, he was handed the wicketkeeping gloves for the second Test in Durban, which he helped save with a maiden Test half-century from No. 7. By the end of the series, however, he was back at the top of the order, and after falling eight runs short of a deserved century in the first innings at Centurion, he made instant amends second-time around.Abraham Benjamin de Villiers was in born 17 February 1984 in Pretoria, Transvaal Province, South Africa, more commonly known by his initials AB plays cricket for South Africa and the Northern Titans. He also plays for the Delhi DareDevils in the Indian Premier League.On South Africa's tour of Australia at the end of 2005 he managed just 152 runs at 25.33 - despite playing Shane Warne well - and was sent home ahead of the tri-nation VB Series.He became the first South African to hit a double hundred (217*) against India. 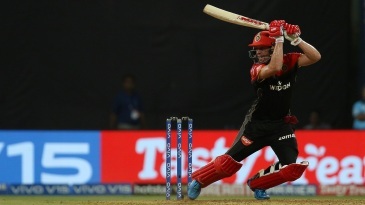 Find AB de Villiers profile and stats of batting, bowling and fielding including latest updated news of AB de Villiers, videos and images at Hamariweb.com. Also find detail Player profile and career statistics of AB de Villiers of South Africa. Ab ,i like u filder and bt very well,my favorite player in the world . Hey! AB i love u. i am a big fan of u i belong to pakistan, played a superv innings. 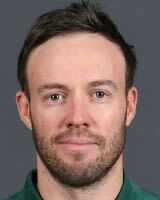 AB de Villiers - Find AB de Villiers of South Africa Cricket Team complete player profile, number of matches, runs score, wickets & catches, Statistics, Records, AB de Villiers Latest News, AB de Villiers Videos, AB de Villiers Photos, and other AB de Villiers Cricket Team players.